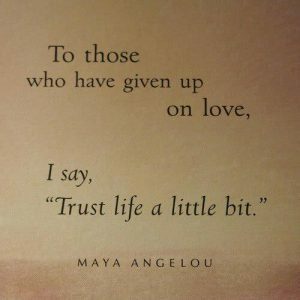 I’d say, trust life a whole lot. I’d say, get to know who you really are. Your helpless, unconscious human self. To play small at all. To shrink back for fear that others may feel threatened. With Peace and Joy – for posterity.